KTA Puainako ground breaking ceremony, 1965 – Tony Taniguchi (Koichi’s 4th son), Hidetoshi Taniguchi (Koichi’s 2nd son), Larry Isemoto, Mr. Kimura (KTA Accountant), Richard Taniguchi (Koichi’s nephew), Yukiwo Taniguchi (Koichi’s 1st son), Taniyo & Koichi, unknown, Rev. Tsuji. KTA Super Stores courtesy photo. 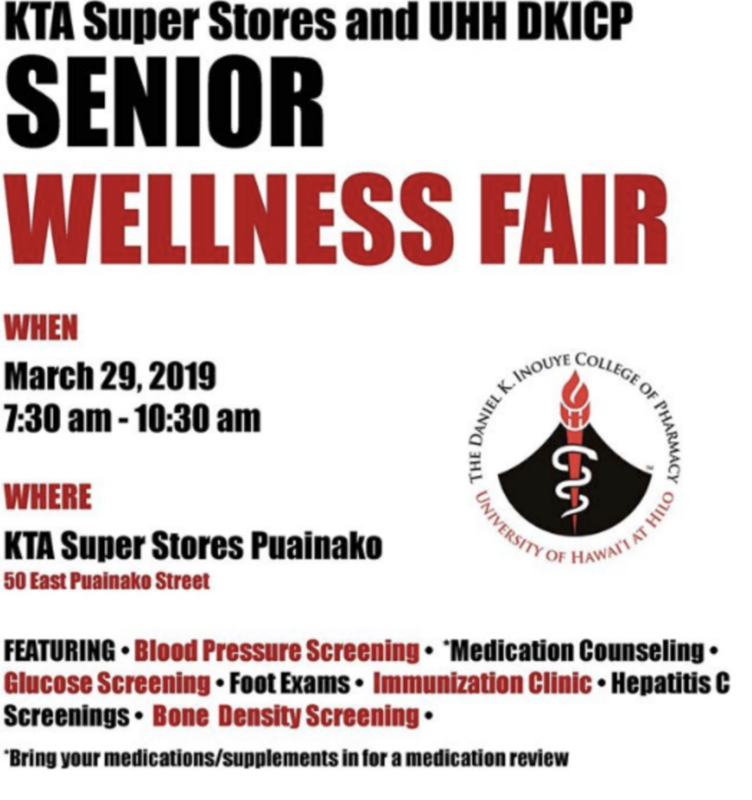 KTA Super Stores will celebrate its centennial this year. The 100-year-old grocery store began as a 500 square-foot grocery and dry good store in 1916. From there, Koichi and Taniyo Taniguchi grew to a six-store chain on the Big Island. 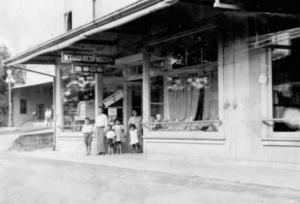 Store officials say in 1916, the Taniguchi’s had no idea the store would become a community staple, but rather believed they were helping family and friends have access to grocery and household items they needed. 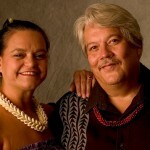 In the couple’s early days, Koichi would take grocery orders from families in Hilo and deliver the items by bicycle. Eventually, Koichi and Taniyo were both able to afford an actual store as business picked up. KTA Super Stores’ first branch was opened in Downtown Hilo in 1940. 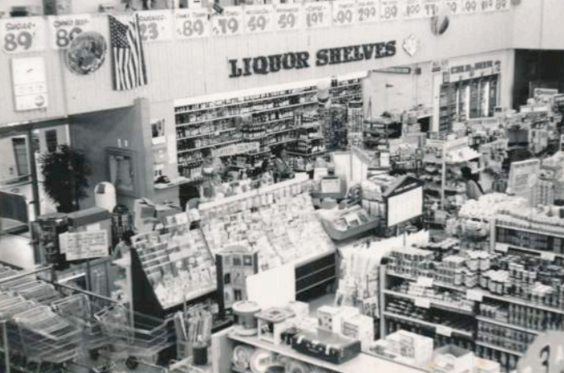 By 1953, the store was converted into a supermarket. 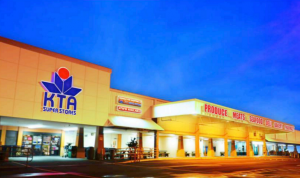 In 1959, the Kailua-Kona KTA Super Stores location opened. The store was moved to its current location, however, in 1975. 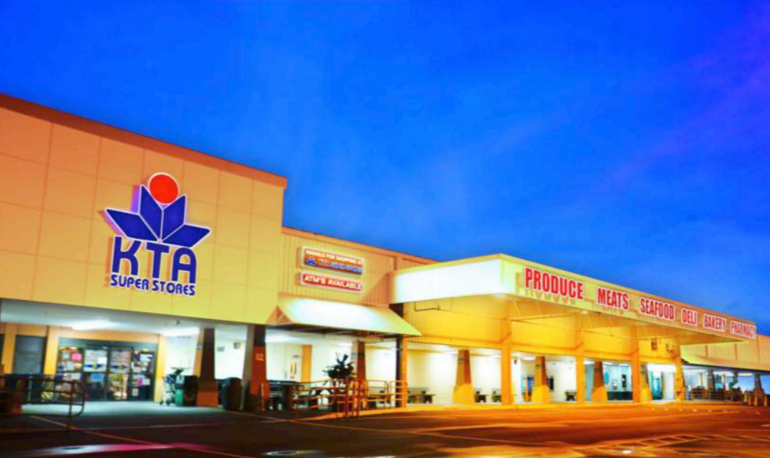 Seven years later, KTA Super Stores’ Puainako location opened up, and Keauhou followed in 1984. Waimea’s store was opened in 1989. 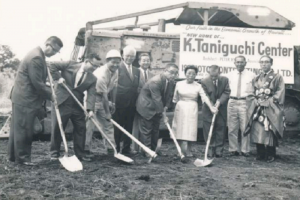 Growth didn’t end there for the Taniguchi’s. In 1990, Waikoloa Village Market was opened to serve the Waikoloa Community. 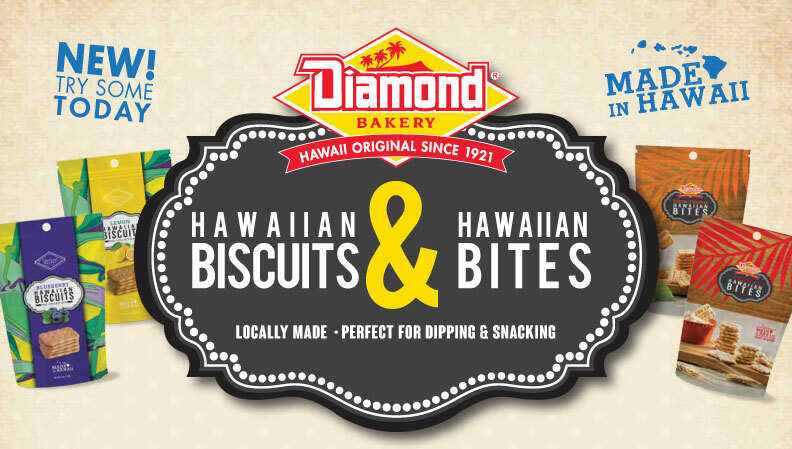 The Mountain Apple Brand, a private label that promotes products grown or manufactured in Hawai’i, was established by KTA Super Stores in 1984. 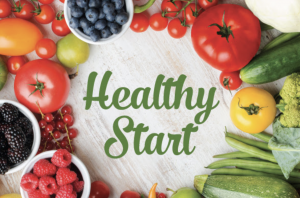 With the turn of the century, KTA Super Stores was drawn to the evolving digital age with the television show “Living in Paradise” and the launch of the company’s two websites, KTA’s website and Waikoloa Village Market’s website. As the company grew, space was also needed, so the Waimea, Puainako, and Hilo location were enlarged to provide ample space to fit the needs of the community. 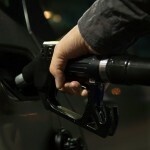 In 2007, the company became the first supermarket in the state to install and operate energy-producing photo-voltaic systems at its Waimea and Kailua-Kona locations. The PV systems were later expanded in 2013 to the Keauhou location and within its partnering location, Waikoloa Village Market. KTA Super Stores will kick off its centennial celebration with enter-to-win contests on its social media accounts and host various in-store events, including promotion giveaways, centennial specials, food demonstrations, samples, free cake, and an in store appearance of YouTube sensation Sean Fujiyoshi. 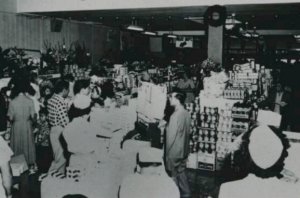 KTA Keawe Store, Grand Opening 1939. KTA Super Stores courtesy photo. K Taniguchi Shoten, Waiakea Town Hilo 1921. KTA Super Stores courtesy photo. KTA Puainako Store, 1966. KTA Super Stores courtesy photo. KTA Puainako store, front entrance 2015. KTA Super Stores courtesy photo.